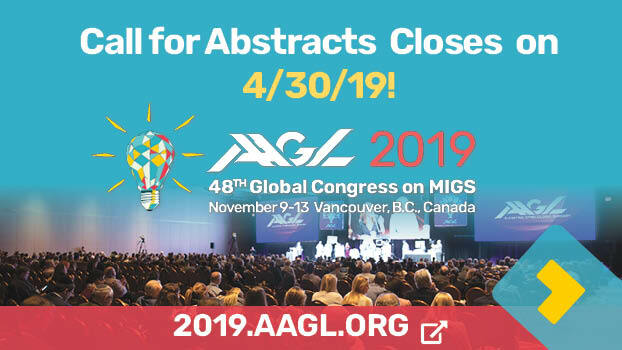 As you read in Dr. Ted Lee’s article, the AAGL recently sponsored an online survey to determine the opinion of AAGL members on the current state of coding and billing for endometriosis surgery. Although the results of that survey reflect the membership’s wish to have the code revised, the process to revise or change the code requires a methodical pathway and Dr. Lee has been working with the ACOG Coding Committee to undertake that process. Unlike hysterectomy codes or open endometriosis codes, the current laparoscopic endometriosis code is a “one size fits all” code. Changes to the current state will take years, if ever, so what is the best way to currently code for these procedures? No one doubts that the diagnosis and surgery for endometriosis can be complex. Frequently, endometriosis is an incidental finding. Sometimes, the visual extent of lesions does not predict the severity of the symptoms. These factors combine to make coding for endometriosis surgery challenging. For example, a small, deep endometriosis nodule in the lateral retroperitoneal space may require a significant amount of time and expertise to remove while a large endometrioma may peel right off the peritoneum and be easily removed. Billing for endometriosis surgery is similar to adhesiolysis. For a few small, peritoneal lesions that take a few minutes or less to remove, this code should not be used. There isn’t significant work above what is already being performed, such as a diagnostic laparoscopy (49320, 45 minutes of typical skin to skin time) or hysterectomy. If the amount of endometriosis is significant and involves significant time and intensity, or if resection of previously found endometriosis was the sole purpose of the surgery, then use 58662. There are separate codes for laparoscopic bowel resection and those codes should be used when the bowel is resected. There are no codes for laparoscopic bladder or diaphragm resection. Do not use the open codes. Use the unlisted codes for any affected organ that doesn’t have a specific code. This modifier has been so often abused, that many payers will not cover it. However, you or your hospital/practice/employer can negotiate with payers to cover it for your procedures, especially if you offer a service that is not common and adds value to their clients. I highly recommend all tertiary referral centers engage their payers in negotiations. Because of the overuse and abuse, getting the modifier covered requires some extra documentation on your part. First, be sure that your operative note details the total time the case took, and the extra time required to complete the work. Also, be sure to detail why this case was different from all the other cases (extreme BMI, significant adhesions, ureterolysis required, etc.). Merely saying that the case went over 80 minutes is not sufficient because, by definition of typical, half of the cases WILL go over 80 minutes. For example, “The entire procedure from skin to skin took 120 minutes and 60 extra minutes were required for the complete retroperitoneal dissection of the ureter from the pelvic brim to the insertion point in the bladder to remove the endometriosis”. Once your operative documentation is done, you will need to submit a cover letter that also details the significant extra work required AND what you expect to be paid—125%? 150%? Remember that the total wRVU assigned to a code isn’t just the operative time but includes all of your time that day and the entire global period. It is good to look at other codes that do take longer to decide a reasonable request. Here are a few other reminders to guide using modifier 22. Don’t use it just because you are a GYN-MIGS specialist or the world’s greatest endometriosis surgeon. The more you use it, the more chances of an audit which will review all charges to that payer (not just that patient). All of your cases cannot be “difficult”—even if you are at a specialized center. Gynecologic surgery, as a whole, is not reimbursed as well as it should be. Endometriosis surgery can be very challenging and complex and sometimes requires significant extra work that may not be included in the 58662 code. We can do more now to encourage payers to value the surgery we provide in the very complex patient by billing and coding appropriately for endometriosis surgery and the appropriate use of modifier 22. 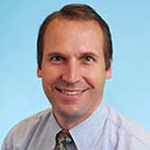 Dr. Hathaway is the AAGL Coding Committee Chair; Associate Clinical Professor of Obstetrics and Gynecology; Director of Minimally Invasive Gynecologic Surgery at Eskenazi Health; Medical Director, Coleman Center for Women; Assistant Medical Student Clerkship Director, Ob/Gyn Clerkship at Indiana University School of Medicine in Indianapolis, Indiana.